Boarding for any Thames Rocket trip takes place on the London Eye Pier, at the heart of Westminster, right underneath the London Eye. 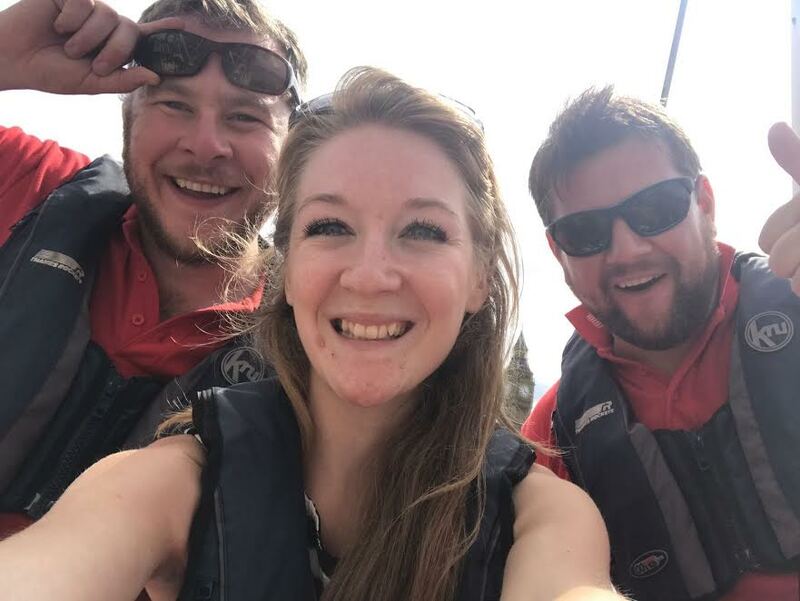 Guests are advised to arrive 15 mins ahead of their allocated booking time and are given life jackets and a safety briefing before stepping on board the speedboat. 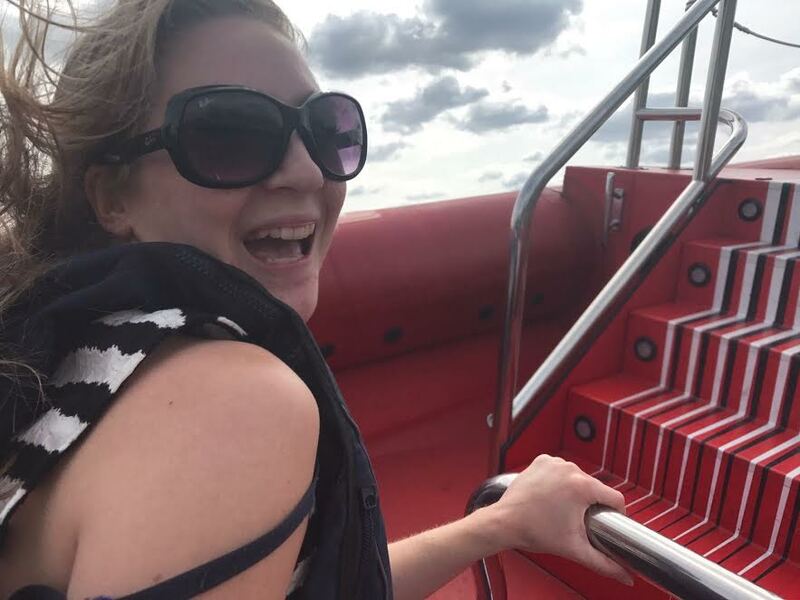 The boats seat up to 12 people and no matter where you sit, you’ll get an amazing view of the sights from every angle! I took my little sister along for the ride and we were booked on to the Ultimate London Adventure, a 50 minute part guided tour/part speed experience showcasing the best that London has to offer. Our tour guide, Rory, showing us the sights! Our speed boat experience gave us the best of both worlds; an informative tour and history of all the famous landmarks along the river for 25 minutes, and then 25 minutes of full frontal speed as we broke through the Thames barrier, and the speed restrictions, and whizzed from one side of the riverbank to the other for as long we could. 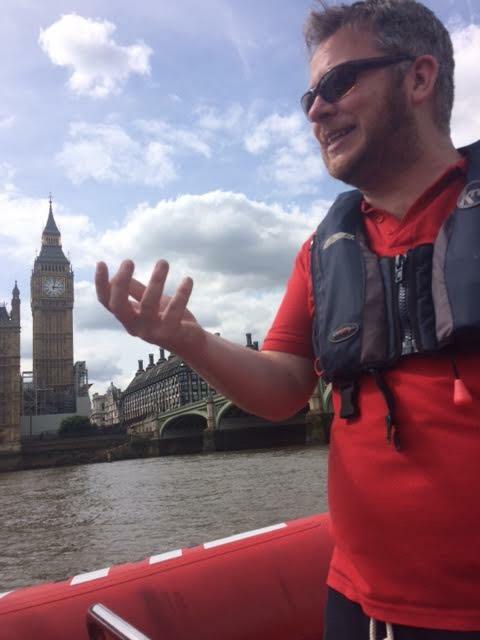 Our guide, Rory, was so much fun – he told us fun facts about each of the iconic sights whilst not making it sound like a history lesson! I’ve walked and toured London many times before, but I still found out things I hadn’t known about purely from Rory’s fantastic knowledge. Starting at The London Eye, the tour took us backwards to catch a glimpse of Big Ben and the Houses of Parliament before heading up river all the way towards Tower Bridge. We passed 22 iconic landmarks along the way including St Paul’s Cathedral, The Shard, The Gherkin, Shakespeare’s Globe Theatre, HMS Belfast and The Tower of London. Although I’ve seen them all before, gazing at all these amazing monuments from the river gave me a totally new perspective and made me fall in love with them all over again. We also rode under all the famous bridges, from Blackfriars and the Millennium to Waterloo and London Bridge. If I had to pick just one though, it would be the mighty Tower Bridge; it’s somewhere that has a really special place in my heart and I can never ever tire of looking at it – it’s my favourite place in the world! Ok so I know I was on a speedboat tour, but I did NOT expect us to go so frikkin fast! Once we’d got past the barrier and the speed restrictions had lifted, our wonderful driver Nick went full throttle on the acceleration and we were blasting past Tower Bridge quicker than we could have ever imagined. We rode up and down the river, side to side and round and round whilst the speakers were blaring loud music and giving us a party experience to remember. It was literally so much fun, just like being on a fast roller-coaster at a theme park, but even better as the sights of London were all around us. We had to grab on to our seats but we were in no danger at all of falling out as our crew kept us safe the whole time – just make sure you hold on to anything loose as they can’t be held responsible for flying hats or scarves! My sister and I absolutely adored our time spent with the Thames Rockets team; the tour, the speed and the music were amazing, we just wish we could have had longer on board! 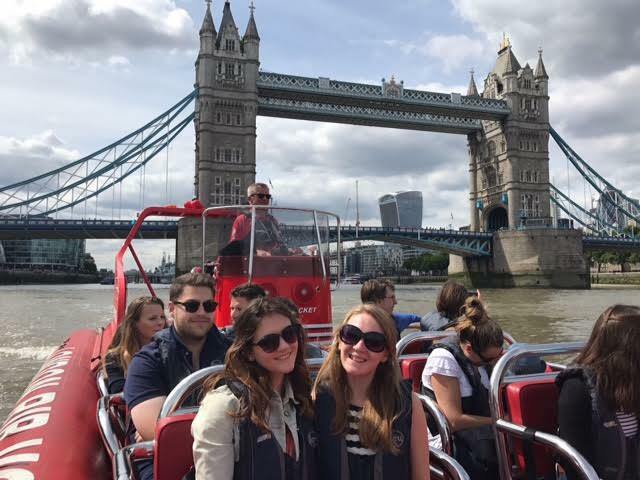 The Ultimate London adventure was perfect for us, but you can choose from a variety of other experiences to suit your needs. Why not hop on board the Thames Lates cruise to see the city sights lit up in all their glory? Or if your need for speed outweighs your need for sightseeing, the Break The Barrier tour is the one for you! Whatever tour you choose, Thames Rockets will not disappoint! Summer is a great time to visit whilst the sun is shining and the landmarks look even more glorious, but this experience can be taken at any time of year, weather permitting of course. Wishing you all the best of luck with the competition – this really is an amazing prize and I know whoever wins will have the most amazing day out in our beautiful capital city! 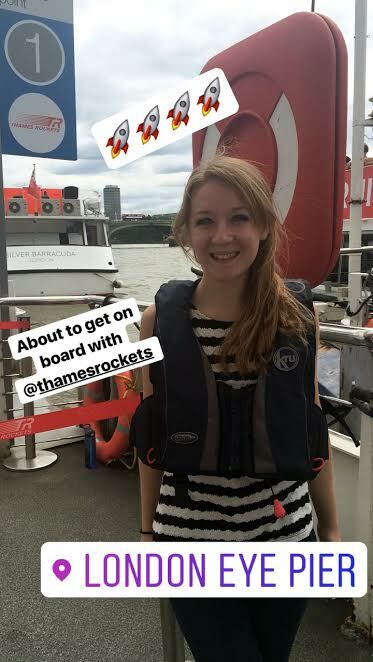 I’m rather jealous that I won’t get to do The Ultimate London Adventure all over again, but I will most definitely be back on board with Thames Rockets again soon and can’t wait to try another one of their tours. NB. I was invited as a guest of Thames Rockets for the purpose of this review and giveaway but, as always, all thoughts, opinions and photos are my own. A big thank you to Rory, Kai, Nick, Greg and the rest of the Thames Rockets team for looking after us, and for making our day so special. 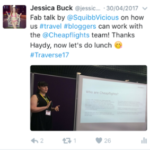 Traverse17 round up – still the best travel blogging conference on the planet! Where else can you take part in a competition with Topdeck Travel, play a crystal maze style game with Affilinet and come home with a cuddly toy from Cathay Pacific? Only at Traverse, that’s where! The brands and sponsors at the event are all there to speak to bloggers, work with influencers, and run fantastic giveaways and competitions, and the more you network, the more you’ll be remembered by the brands and the more chance you have of working on new projects with your new contacts. I’d highly recommend speaking to every single one of the brands just to say hi and to introduce yourself; hand out those business cards, give a friendly smile and show genuine interest, even if you’re not sure if the brand is a right fit for your blog. Make sure you send a follow up email to say hello and to thank people for their time if you’ve engaged in meaningful conversation too – I love staying in touch with new contacts as it really helps to forge longer lasting, working relationships. With two full days of workshops and lectures to attend at this years conference, I went into full ‘back to school’ mode and had my pen and paper to hand ready to take copious notes at every opportunity. I really love learning and try to improve my knowledge and my blogging skills as much as I can so I am a huge fan of the workshops and try to get to almost all of them! 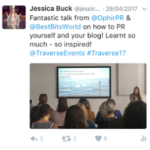 During my time at Traverse this year I attended lectures given by fellow bloggers, PR companies and SEO experts and I learnt so frikkin much! Each and every one of them were insightful, informative and super interesting so I can’t wait to put my new found skills into practice and grow my little blog even more! This is definitely one of the perks of Traverse, and the goodies seem to get better and better after each event! Last year I came away with a beach towel, beach ball, sturdy bag and much more, but this year I was given a selfie stick (yay), baseball hat, phone charger, piggy bank, pens, keyrings and notepads too. A big thanks to all the sponsors for being so generous with their fantastic freebies this year! This is probably the single biggest reason you should go to Traverse. I can’t tell you how much my confidence has sky rocketed since attending my first couple of conferences this past year. I’ve always been bubbly and outgoing, but in the past found it difficult to approach people I didn’t know for fear of not making a good first impression, or of not sounding intelligent enough! Now though, after two conferences and countless events, I can happily walk into a room full of strangers and introduce myself to all the people and brands there without feeling nervous one bit. My confidence is at an all time high and that’s 100% down to the experiences I’ve had with Traverse over the past year! Like this one – the opening night at Altitude London hosted by Jet2 – we had canapés, champagne and incredible 360 degree views over London… what’s not to love?! … and this one! The closing party was hosted by Visit Spain and was held at the stunning Iberica Restaurant in Canary Wharf. The tapas was delicious, the cava was flowing and everyone was having a fiesta and celebrating the end of a fantastic weekend. .. but the highlight was this one – a boat party on the Thames hosted by Cheapflights and CityCruises. Watching the sunset over The O2 and then seeing Tower Bridge lit up after dark was truly special and something I will remember forever! And you’ll network every second of the day! This word used to scare me shitless. The thought of ‘networking’ or making small talk with complete strangers used to really make me feel nervous. I didn’t want to put myself out there for fear of looking like an idiot, or for sounding stupid, but I’ve found my networking mojo over the past year and, for me, that’s something that is a great achievement. Being pushed out of my comfort zone has been so rewarding, so I now absolutely LOVE networking. I just try to be myself, be engaging, bubbly and friendly, and people seem to remember me so I must be doing something right! These are just some of the many reasons to attend the wonderful Traverse conference, which will be held outside of the UK for the first time next year in the Dutch city of Rotterdam! 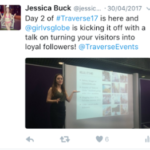 Whether you’re a total newbie or you’re a blogging pro, every attendee comes together and is made to feel completely equal, which is why Traverse is so fantastic. No matter how small or large your blog is, you’re all treated the exact same and the parties are so good for mingling with new people you would never have met otherwise! 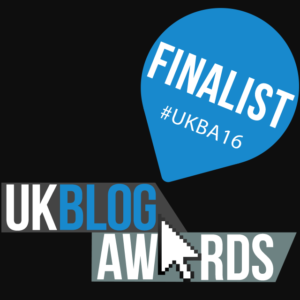 http://journeyswithjessica.net/wp-content/uploads/2017/05/ravensbourne.png 541 484 jessicalouise1601 http://journeyswithjessica.net/wp-content/uploads/2017/07/Logo-1.png jessicalouise16012017-05-11 10:51:002017-07-20 12:04:40Traverse17 round up - still the best travel blogging conference on the planet! After dropping off our bag and whizzing through security we made our way towards the Aspire Lounge to start our adventure in style. Luton Airport is pretty small, and there aren’t many shops or restaurants to eat at so we were really looking forward to having somewhere private, and comfortable, to sit and chill before our flight. The Lounge is conveniently located next to Accessorise on the 1st Floor of the departure area and is super easy to find. Upon arrival we were greeted with a glass of Prosecco and told that everything on offer was complimentary, apart from champagne and additional Prosecco. We headed to one of the empty tables, with comfy seating and a view across to the rest of the airport, before checking out the food and drink that was laid out for us. We had a morning flight so the breakfast menu was on offer and we opted for fruit juice, hot drinks, and cereal as well as croissants and a sausage sandwich each! The food was really good and we would have had more drinks had we had more time, and it not been so early in the morning – I think a glass of Prosseco each was more than enough for both of us! The lounge itself was laid out really nicely, with plenty of space for people to chill out and relax. There were work stations, snooze pods, plenty of tables and comfy seating as well as sparkling clean toilets and showers too. There was also a spa where treatments including manicures and massages were on offer for a fixed price. The lounge was fairly busy with people taking advantage of the VIP treatment, but it didn’t feel overcrowded or that there wasn’t enough space for everyone, given that the lounge is big and there is plenty of room. We only had around an hour to spend time in the lounge because we arrived slightly late from Oxford and were checking out the shops in the airport before we headed up, but I really wanted at least half an hour more just to relax and unwind before our flight – sadly we didn’t get chance to try out the snooze pods! I think if I were to visit another lounge before a flight I would definitely arrive a little earlier to try and make the most of the comfort, and the food and drink, that is on offer. Overall we had a truly relaxing time at the Aspire Lounge at London Luton Airport and were looked after really well by all the staff – thank you for making our stay so enjoyable! The cost of the lounge experience is £23.99pp which is slightly pricey, but worth it if you are going to be spending more than a couple of hours there and can make the most of the comfort and food and drink that is on offer. If I were to go again I would probably make sure I have more time there and would maybe attend ahead of a longer haul flight instead of a short one, just to fully benefit from everything on offer. However, I would highly recommend booking the Aspire Lounge for a stress-free start to any trip and to find the secret to happy travel in the most comfortable way possible! NB. I was a guest of The Aspire Lounge for the purpose of this review, but all opinions are of course my own. Please book directly to reserve your experience! 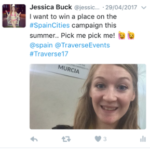 http://journeyswithjessica.net/wp-content/uploads/2017/02/aspirelounge.png 523 482 jessicalouise1601 http://journeyswithjessica.net/wp-content/uploads/2017/07/Logo-1.png jessicalouise16012017-02-25 17:17:582017-02-25 17:17:58The Secret to Happy Travel? VIP Treatment Before you Fly! So I know we’re still in November, but I have been feeling ever so festive lately, mainly because I took a trip to London’s Winter Wonderland last weekend! I went with my two sisters and two of my cousins and we had a wonderfully festive day out at the Hyde Park Christmas fair. In my opinion, it’s never too early to get in the Christmas spirit, and with the festival’s 10th year anniversary celebrations in full swing, here are 10 of my favourite photos from the day proving why you should visit Winter Wonderland this Christmas! Just look at it. The inner child in me is just raring to get on that thing, it’s the ultimate fair ground ride, and there’s a giant Christmas tree right next to it. I. Am. SOLD. The park looks pretty amazing during the day time, but it looks truly spectacular after dark when the millions of lights are turned on and the park truly glitters in the night sky. Just LOOK at those lights! It’s no secret that Winter Wonderland is brimming with Christmas markets selling everything from candles and soaps to handmade jewellery and wood carved ornaments. Wander round the market stalls, soak up the festive atmosphere and bag some unique gifts from these traditional German style wooden huts. The rides are just amazing, from tiny spinning tea cups for the kids to giant rollercoasters for the thrill seeking adults and every kind of ride you can think of packed in between, there’s something for every rider and the queues are well worth the wait! *TIP* To beat the queues go o on a week-day, not a weekend, and ride in the morning/early afternoon instead of the evening. There are hundreds of food stalls stocking everything from burgers and chips to German Bratwurst (sausage), roasted chestnuts, chocolate waffles and as many pick n mix sweets as you can manage! The Bavarian Village is a great place to escape the cold and relax for an hour, whilst the Carousel Bars (yes, really) are super cool, just be prepared to stand up while you waltz! Although entrance to the park is free, there are a number of additional attractions which are charged separately. I’d recommend booking online to guarantee your time slot, especially as the park will get busier in the lead up to December. The attractions include a Magical Ice Kingdom, Zippos Christmas Circus and a special showing of The Nutcracker on Ice. There may be fairground rides aplenty, but there’s also tonnes of games stands to be found whilst wandering round the park. Try your hand at a game of hook-a-duck, mini-basketball or take on the shooting-gallery to be in with the chance of bagging a special Winter Wonderland prize! Is there anything more romantic than gliding across the ice and soaking up the festive atmosphere? I doubt it. But, this only applies if you don’t fall over. And end up looking like a total fool in front of all the ogling spectators. Don’t do it if you can’t skate! Only joking, it’s all good fun, and it’ll warm you up if you’re cold – you will sweat SO FRIKKIN MUCH! Just like The London Eye, but not as expensive, the ferris wheel at Winter Wonderland is one of the absolute must do’s. You’ll soar high into the sky and rotate slowly, enabling you to take in the most spectacular panoramic views of the park, and the rest of London too. I’d recommend taking your ‘flight’ once the sun goes down, as the park looks sooo much more impressive from above after dark, when everything is lit up! There are SO many places to take great selfies and you’ll be totally spoilt for choice, but we loved this polar bear/ ice cliff/waterfall sculpture and took our favourite photo of the day right in that very spot! Have YOU visited Winter Wonderland yet? If not, what are you waiting for?! It its totally FREE to enter, and the park is open from 10am-10pm every day until 2nd January 2017. Go go go! I can’t stress how important this is when attending WTM for the first time! I feel as if I prepared as much as I possibly could by navigating the website, booking meetings, looking up lectures and planning my journey in advance before the big day arrived. I made sure I planned my tube route (although this changed due to station closures on the day! ), I made sure I knew where my meetings were and what stands I wanted to visit, and I made sure I knew which lectures I wanted to attend. Planning in advance really helped me to calm my nerves and take everything in my stride when I eventually arrived on the day. I also reached out to other bloggers who had attended before, Eileen from Crooked Flight held a fantastic webinar which was super helpful and I was SO glad I watched it before I attended! Don’t get me wrong, I was totally overwhelmed by WTM; the ExCel was absolutely enormous and I felt so out of my depth! I had lost my voice and had a terrible cough that day, so I think that just affected my confidence at first, but once I’d had a few meetings and started speaking to more people I felt much more comfortable and began to enjoy myself a bit more! Make sure you research the companies you have meetings with, know the name of the person you’re going to be speaking to, and make sure you know what it is you want from WTM. I wanted to meet with tourist boards and enquire about potential press trips, as that’s the direction I want my blog to take, but others may want to become a travel trade consultant or progress their careers in the industry, so talking to specific brands about what you want to achieve is key to success at WTM. Treat WTM as you would treat a professional meeting, or a job interview. I wore a skirt and top to look smart, and I took a blazer too but wore flats as I knew I would be doing a lot of walking! I feel I looked professional but not too over the top, and hopefully I went for style as well as comfort! Jeans and a t-shirt is a definite no-no; most of the guys were in suits or a shirt and trousers, whilst most of the girls were in dresses, smart tops and trousers or skirts and tops like myself. 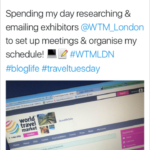 Booking meetings ahead of my visit to WTM really helped me to plan my day. It also ensured I could spend a certain amount of time meeting brands and a certain amount of time attending lectures, so I could balance my day correctly. 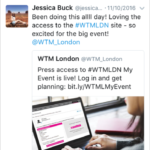 I found the WTM website to be extremely helpful when planning; you can contact brands directly, find out about all the lectures and speakers and even see the full A-Z list of exhibitors who will be present each day. There’s also a WTM app which you can download and use to interact with brands and speakers on the day, making sure you’re super involved throughout the whole process. 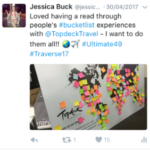 You can also use Twitter to mention brands and exhibitors in your tweets, showing them that you’re excited about the big event and that you’re planning it before you’ve even arrived… everyone loves a build up! I have never printed my media kit as I think carrying prints around is very old-fashioned, but I am so glad I took copies to WTM with me! I printed around 20 of them, and had 100 business cards on me which was plenty. I gave all of my media kits out, and around 30-40 business cards too, as not everyone wants to see your media kit. I made sure my media kit was given to people I had meetings with, and people that I approached who I was really keen to work with. The beauty of presenting a media kit is that it gives you something to visually share with the person/company you’re approaching, and I think it makes you stand out over someone who is just there to drop off a business card. 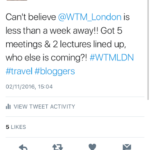 I think WTM is all about time planning, especially if (like me) you only have one full day there! To me, the lectures are just as important as meetings with professionals, you can learn a lot from the speakers and the Q&A sessions, so I was keen to catch as many lectures as I could during my day. It helped to look them up in advance so I could ignore any irrelevant ones and focus on the ones I really wanted to attend. The WTM guide that is handed out to you upon arrival is really helpful in terms of planning, but there are giant boards and maps dotted about too so that you can get your bearings and make your way to the lecture halls on time. Be sure to arrive early to make sure you get a seat! WTM doesn’t have to be totally serious; yes, you’re there to learn and meet professionals from the travel industry, but it’s s really great place to have some fun too. I met up with three of my fellow travel blogger friends whilst I was there- Emma (Paper Planes and Caramel Waffles), Kate (Kate Victoria Photography) and Mel (Footsteps on the Globe) – and we hung out, took photos and attended lectures together. It’s really nice to see a few friendly faces during what can be quite a stressful day, so I really enjoyed spending some time with these girls! Following up afterwards is just as important as attending the conference on the day! I did my follow ups yesterday, a week after attending, and sent emails to brands I met and had proper meetings with throughout the day. Following up doesn’t have to be in the form of emails though, you could interact with the brands on Twitter, make it fun, make yourself memorable! Keep in contact and you never know where your initial meetings might lead to in the future. So there we have it, my ultimate guide to surviving your first time at WTM London. Have you been before? Are you wanting to go next year? Sharing is caring, so I’d love to hear any tips you have too!